If you’re a business coach meaning to create a website for yourself, chances are you’ve chosen WordPress as the platform to create it. WordPress allows you to choose amongst thousands of different themes, and what you choose will have a huge impact on your website. 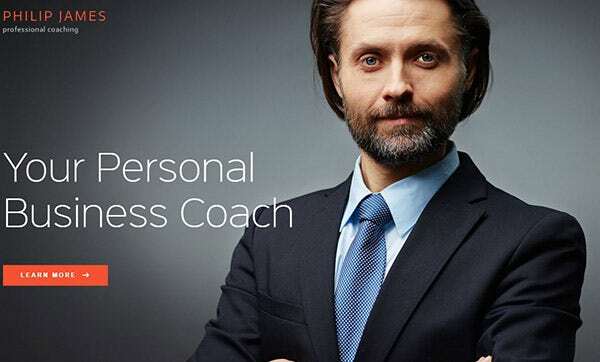 Check out these business coach WordPress themes that have been selected specially for you by experts who have been working with themes for a long time. LeadYou is a light, multipurpose, SEO optimized local business WordPress theme to match all your business coaching needs. 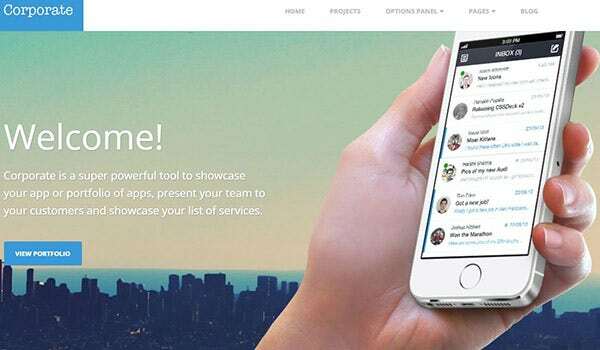 Showcasing some extremely useful features such as cross-browser compatibility, favicon, MailChimp ready template, Social media compatibility, sidebar manager, live customizer and performance optimization amongst others, this theme can make your website top-notch, and your business very successful. Your personal business coaching website is literally a few minutes away with WP Coach by your side. Its custom posts and portfolio options help you flaunt your service. Then, the power packed yet easy to use theme building options help you set the website up quickly. Other important features include Contact Form 7, Visual Composer, and WooCommerce integration. Belouder is a lightweight simple business WordPress theme designed to cater to all types of service businesses, and can be perfect for your business coaching website. With minimalistic design elements and great functionality, it easily allows you to arrange appointments, showcase your services, process online payments, maintain an exciting blog. Create your personal business WordPress website in minutes, and promote your business coaching services in the process. The Live Theme Customizer, drag and drop page builder, and endless customization ensure your website stands differentiated from others’. 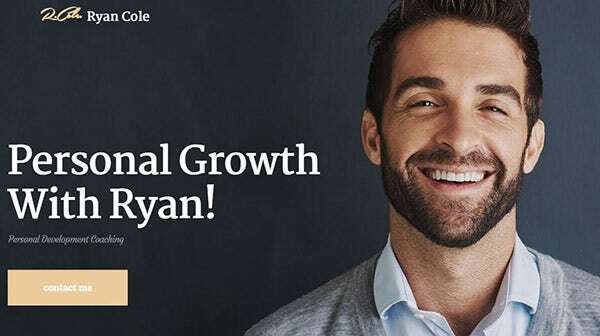 Enjoy dedicated support and lifetime upgrades, and concentrate on promoting your personal business coaching service. 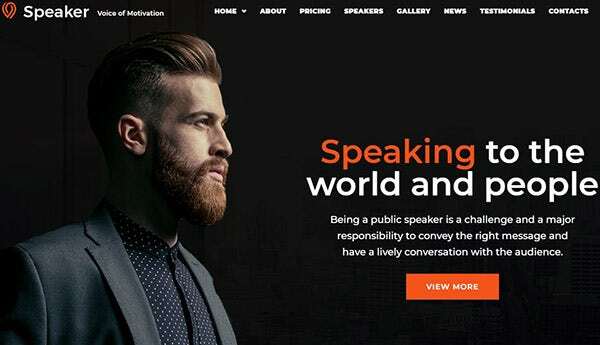 Speaker is an elegantly styled modern business WordPress theme designed for all types of life coaching, perfect for use in a business coaching website. Very user-friendly, this template comes fully enabled with CSS3 and HTML5 coding and social media compatibility. It also comes with inbuilt MailChimp, crossbrowser compatibility, sidebar manager and a 4.8x WordPress engine. 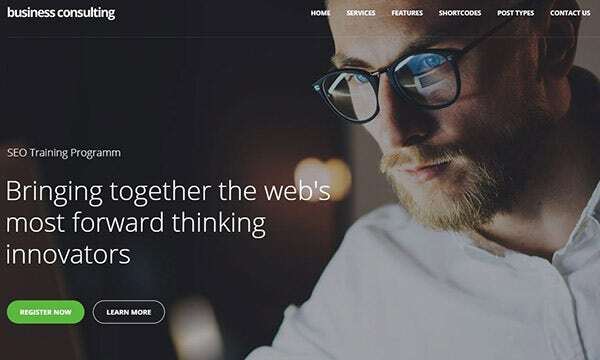 PJ, or Philip Jaymes, is a powerful and highly responsive, SEO-friendly WordPress theme specifically designed for business coaching websites. PJ comes fully equipped with CSS3 and HTML5 coding, optimized SEO integration and social media compatibility. It is also retina ready and has a great user-friendly design with sticky menus, sidebar manager and a powerful admin interface. 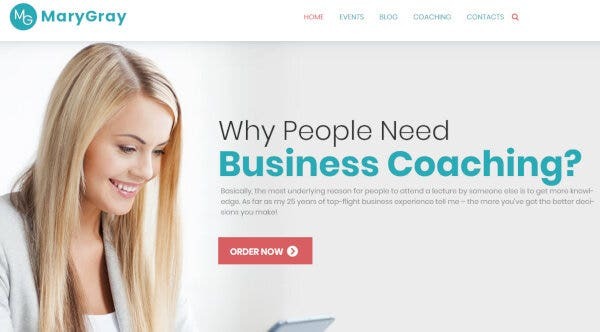 BizCoach is one the best WordPress themes for your business coaching service website, it is fast-loading, responsive and very efficient in its design. BizCoach features a fully SEO optimized layout and a bevy of useful integrations such as inbuilt WooCommerce support, MailChimp support and the latest CSS3 and HTML5 coding. The business WordPress theme is a powerful and popular theme for all kinds of business service websites, and well suited to your needs as a business coach. Light, responsive and versatile, it is SEO ready and supports CSS3 and HTML5 coding. Along with being very affordable, it offers a lot for your money, with features like crossbrowser compatibility, social media integration, Multilanguage support. R.Cole is a business coaching WordPress theme that is very stylish and attractive to your potential clientèle. Featuring fully integrated WooCommerce, MailChimp and social media compatibility, it can help you control all sides of your service business, from arranging and managing appointments to selling coaching implements like books, to maintaining optimal customer outreach. 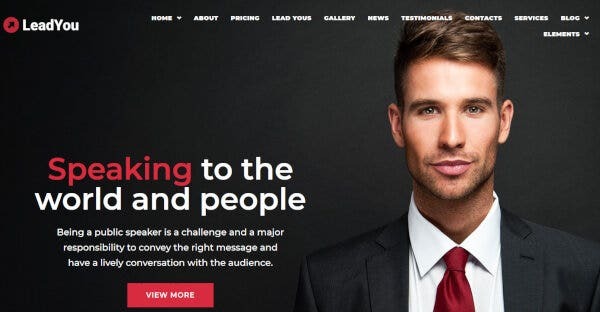 OnePage Lite is a very good choice for a beginner’s website template for your business coaching services, as it is completely free for use and sports a professional yet elegant design, it has a very user-friendly and welcoming home-page. It showcases your services, list of clientele, testimonials and reviews by previous clients and contact details. 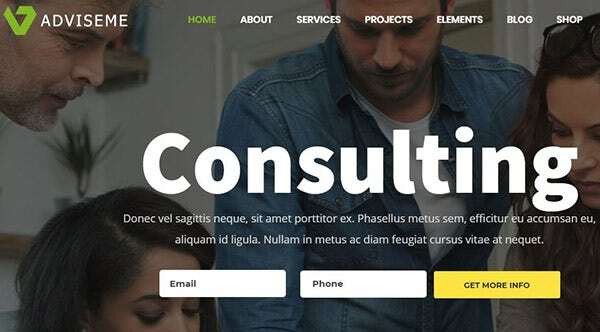 The Business Consulting WordPress theme is a brilliant choice for your business coaching website, with a very stylish, modern and efficient design. It has excellent inbuilt tools for creating signing up forms, timetables and schedules for lectures and events and manage all your content. It is fully retina ready and comes with complete CSS3, HTML5, WooCommerce and social media compatibilty. Hearten is an elegantly designed WordPress theme that is perfect for female business coaches. 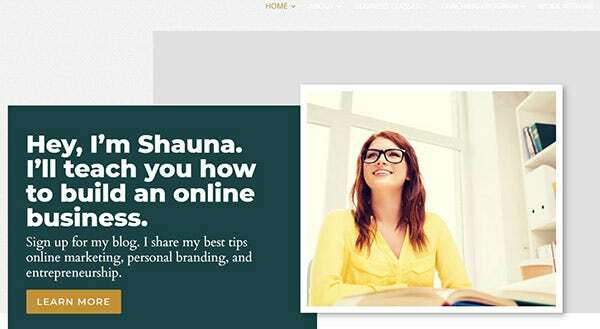 If you want your website to be both feminine and professional, Hearten is a go to template. Ready to customize and fully retina ready, it will let you build a fully SEO optimized and social media compatible website with no former coding knowledge or hassle. 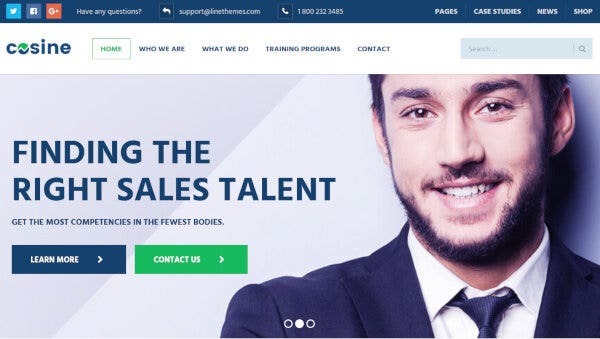 Corporate is a fast, responsive and light business WordPress theme that’s your one-stop solution for all that your business coaching website requires. Sporting a suave corporate style and design, it can give your website the edge it requires, featuring a fully SEO-friendly layout, efficient menu and sidebar managers and full social media compatibility. 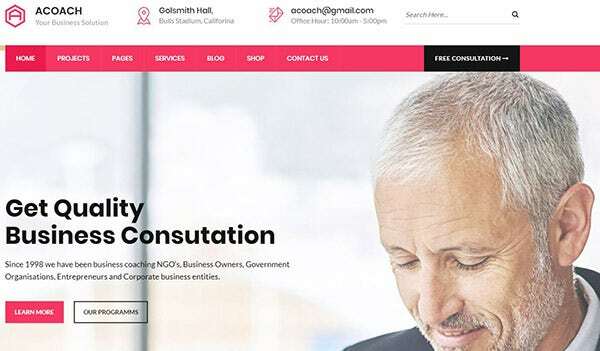 Acoach is a very fast, responsive and light WordPress theme to build the perfect website for your business coaching services. 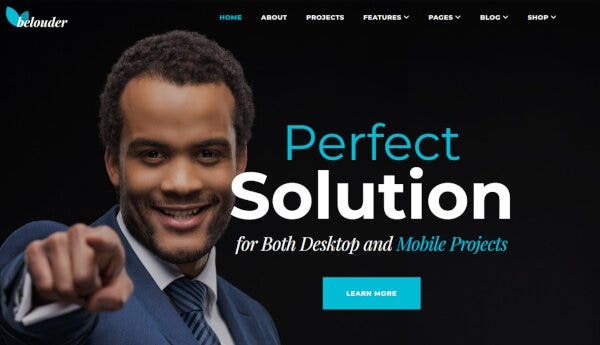 It is a hi-resolution retina ready template that looks great on any device. Featuring cross-browser compatibility, social media integration, WooCommerce support and a very strong Bootstrap based CSS3 and HTML5 coding, it is a great choice for any business coach. Adviseme is a fast, highly responsive and efficiently designed WordPress theme perfectly suited for your business coaching website. It includes many add-ons such as Visual Composer and Slider Revolution that can help you save a lot of money. It is a retina ready, SEO optimized template offering full CSS3 and HTML5 support, and brilliant social media integration. Talking Business is a multipurpose coaching WordPress them designed for all kinds of coaching, that can be great for your business coaching needs. It is a very fast-loading, SEO-optimized and responsive template that allows you to sell your services efficiently. Featuring CSS3 and HTML5 coding, it offers full social media compatibilty and inbuilt WooCommerce and MailChimp support. 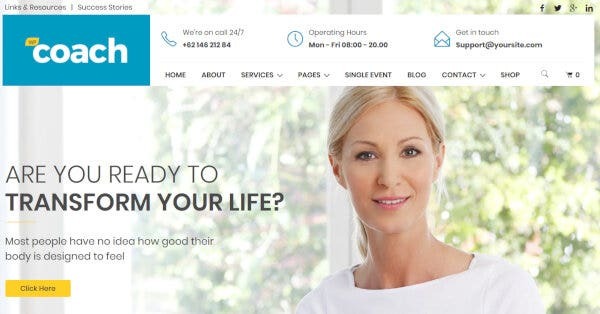 LifeCoach is a very versatile lightweight WordPress theme that is well suited for all kinds of coaching services, such as your business coaching website. With brilliant Bootstrap options, it features a fully SEO-optimized design with complete CSS3 and HTML5 support. It also includes WooCommerce and MailChimp integration along with full social media compatibility. 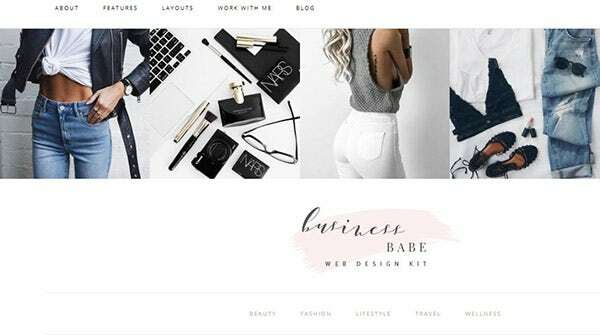 If you’re a female business coach, then Business Babe is a perfect WordPress theme for your website. It has a beautiful, elegant and feminine design with a very efficient structure of menus, sidebar managers and a large selection of color themes, fonts and icons. It comes fully loaded with SEO optimization, WooCommerce and MailChimp integration and full social media compatibility. 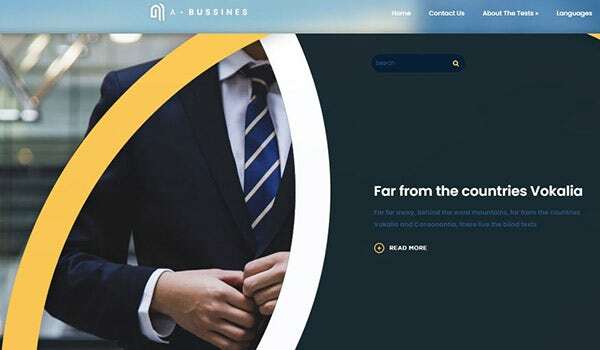 Abuisness is a great WordPress theme for you to consider to use for your business coaching website. It is fully SEO optimized, with CSS3 and HTML5 coding and uses the SMT Framework 2.0 to help you customize your page as you want. It also comes with full social media compatibility and WooCommerce support to facilitate your business.